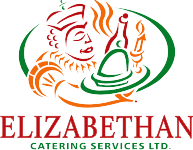 Pricing Policies - Elizabethan Catering Services Ltd. Please remember that we will require the 30% deposit to secure your event and pricing. During the planning process, there may be numerous alterations to each individual contract. We again affirm that all changes be in writing and received no later than 14 days prior to your event commencement. All Personal Events, including Weddings, must be paid for IN FULL, prior to the event. No Exceptions. Clients of Corpoarate Events may discuss Payment Terms with their Sales Associate. After your event, you will receive a questionnaire from us. It is short and will only take a few minutes of your time. We ask that you please do so as the information from this will assist us in our efforts to be the best that we can truly be. We hope that your review will result in the highest grades possible; anything less and we are not happy. We truly appreciate your feedback. Should you need to cancel our services prior to six months to your function, we will happily refund your deposit(s) less a $250 consultation fee. For cancellations between six and three months prior to your function, we will refund 50% of your deposit(s) less a $250 consultation fee. For cancellations three months or less prior to your function, we will retain the full deposit(s).